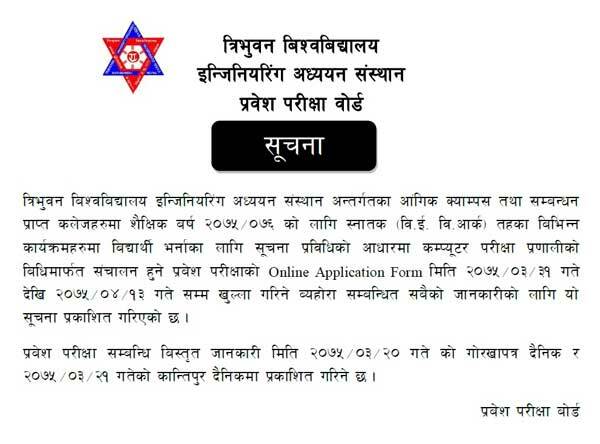 Tribhuvan University, Institute of Engineering, Entrance examination Board has published an urgent notice regarding BE/B.Arch entrance examination for the academic year 2075/76.
. 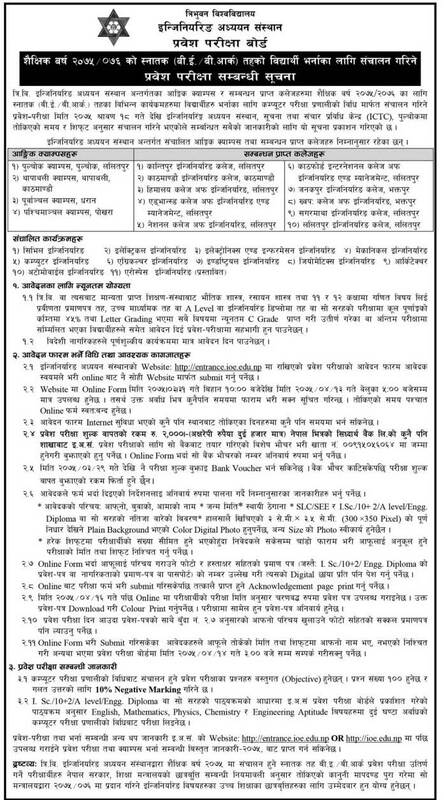 Application period for submission of online application is from Ashad 31, 2075 10 AM to Sharwan 13, 2075 5 PM.